The day itself is this Saturday, and there are lots of brilliant ways that shops, cafes and all sorts of other independents can get involved. 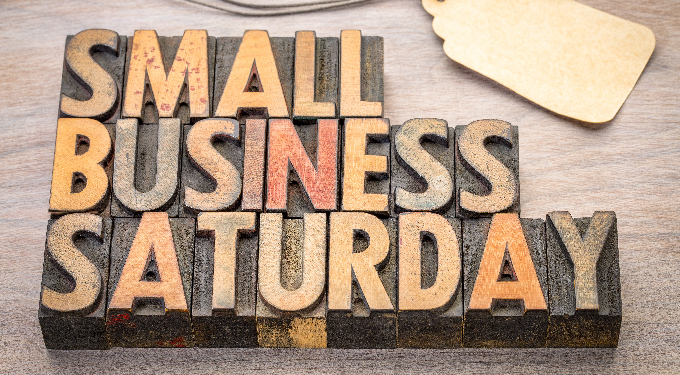 In the UK, Small Business Saturday has an excellent website with lots of opportunities to get involved. On the site, you can register and advertise your small business for free on the Small Business Finder, download a marketing pack and get social media support for your company. Special events are great for attracting new customers. The possibilities are endless for small businesses. You could host a wine and cheese evening, invite a magician along or even organise a special scavenger hunt for customers to find things in the local area. If you run a shop or cafe, you can extend your usual opening hours as part of a special event. Challenge people’s expectations. Instead of shutting up shop at five, break out some live music and start serving alcohol to create a fun party atmosphere. Lots of big businesses have just held Black Friday sales. And the discounts are likely to continue until Christmas. As a small shop, you might struggle to match these big business savings. But you can try to compete by offering small but meaningful incentives and discounts. Try running a big raffle or offer free samples while people shop. Small Business Saturday works best as a community event. If you operate on a little square or high street, you can unite the power of neighbouring small businesses to bring in a critical mass of customers. Get talking to your neighbours and figure out how you can encourage new business with special events, freebies and other incentives. Everybody wants to support local businesses that breathe new life into their local areas. And that includes celebrities. Try inviting local celebs or social media influencers to your shop or special event to give yourself a glitzy edge. Social media can be a great tool for small businesses. When you know how you will be celebrating the day, try using a promoted post to reach your followers or post about it in a Facebook group for the local area. For more information speak to a member of the Cloud Accountant team today. Call: 0808 282 0303.